As a parent of a child on the Autism spectrum and as a teacher I have a difficulty when others report that students with autism/Autistic children lack empathy. I try to correct this faulty judgment when I have the opportunity to do so, by explaining that there really is not lack of empathy, nor any absence of the ability to feel this. There may however be a different way of processing or expressing the feeling, and also a challenge with understanding the perspective and therefore the experience of others. This is fundamentally different from the judgment that an individual lacks the capacity for empathy. My son H has recently begun to process grief (in a way that is observable to me). It hit him hard at age 10 when his Tutor and Caregiver Roberta’s dog was sick and dying. It hit him all at once. He did not seem process it at two when his great-grandma died, or at 5 when our guinea pig died, or at 6 when his rabbit died, or at 8 when his other great-grandma died. He was somehow not visibly affected. He did not ask about it and he may have cried a few tears… but then it was basically never mentioned again. I realize, in retrospect, that there was likely much more going on that I did not at the time understand – but this post does not explore these complexities. Instead it tells a different story; the story of the grief and processing that was apparent much later. H was devastated by the news that Roberta’s dog, Boomer, was dying and generously gave the dog one of his own stuffies to comfort him. 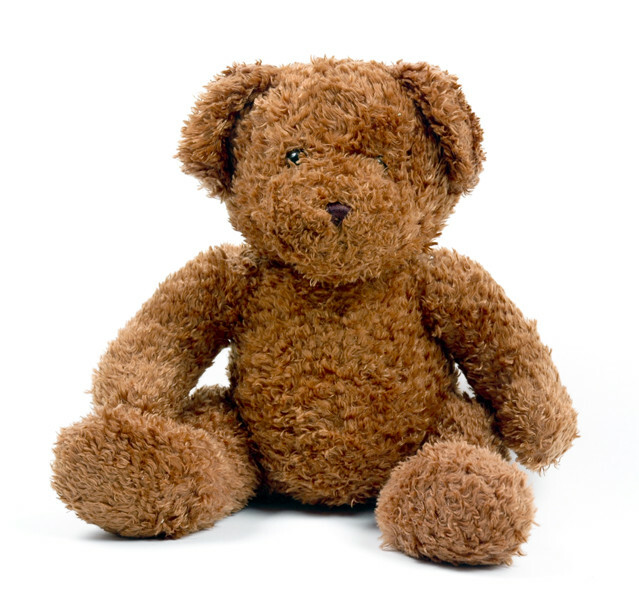 When I suggested that he might like the stuffed bear back after Boomer had passed away, he said no – it would be for Roberta to keep… so that she would have the teddy to cuddle if she was lonely when she no longer had her dog. I talked to a number of our school district counselors and all suggested that it was important for him to let his tears come so we spent many an evening with H in tears. We encouraged him to cry and we also started him seeing a counselor privately to assist him with processing his emotions. Shortly after this we had to tell him that our neighbour, Mrs. L, was also dying. I didn’t really want to because he seemed so fragile and I knew he would be further devastated. We again welcomed his tears and his many questions. I noticed that he was looking to me to see if I was crying when he was, and he often asked if I was sad too. We reinforced that it was important to let his sadness come and cry his tears, or else his sadness may come out in other ways, such as anger. In retrospect, one of the things we encouraged that proved to be most helpful was to be giving toward others and to work to comfort them and understand that they were grieving as well. His focus on the perspective of others helped him to move the process along for himself and to feel that he had some power. He couldn’t change the circumstances, but he was empowered by his ability to give to others. Interestingly, we found that he seemed most anxious and concerned about how he would remember those he had lost. He seemed aware of his own challenges with episodic memory and we began to build and revisit the memories he had by telling stories of the dog and our neighbour and also the kindness he was showing in the process. I wrote a story for him that recalled his experiences with our neighbour, Mrs. L, and his visit to her in the hospital, during which he read her the story Mr. Rabbit and the Lovely Present. I assisted him in writing his own lists based on the book The Tenth Best Thing About Barney, which he was able to share as well. He showed his appreciation for others and it gave his feeling of loss a place to be… surrounded by other feelings. That same day when H’s mom was working in the garden, she called him outside. She showed him a little ladybug that she had found… the first ladybug of spring. H held out his hand and the little creature climbed up his fingers. “Do you like it?” his mom asked. H looked at his mom and then looked again at the ladybug. H’s mom smiled at him… and he smiled back to her. We manually created and inserted the physical association with a concrete item to assist him with sorting and organizing his memories. The symbols that represented different people seemed to assist him with feeling that he had something to hang onto and a place to revisit and access his memories and to process his sadness. It gave him a sense of control. Last week H’s other great-grandmother passed away. She was 103 years old and had been suffering from dementia for many years. Even though he had only met her as a baby, he was still upset when we told him of her passing. However, he seemed most upset that he didn’t really know her, so my husband and I began to tell him stories of his great-grandmother and we assisted H in writing them down. This week H read these stories aloud at the memorial. This was an amazing gift and tribute because after many years of needing constant care and not being socially present in the lives of those attending, this little boy brought to the fore the memories of his great-grandma at her best. It was touching to see the shift in the mood as he brought her to life once again in their minds. This little boy of mine has a very big heart, and a lot of strength. He has a huge capacity for empathy… he just needed a framework of support to assist him with processing in a slightly different way. Please Note: This article, originally written in 2009, was previously published as Ladybugs in the Spring 2011 edition of the Journal English Practice (the journal of the BC Teachers of English Language Arts), and has also been featured on the POPARD Website (Provincial Outreach Program for Autism and Related Disorders). This entry was posted in Aspergers, Autism, Death, empathy, Episodic Memory, Grief, Tears and tagged Autism, development, Empathy, handling death, processing grief and loss, strategies, tears. Bookmark the permalink. This was just beautiful, and also very useful for helping our kids process such challenging situations. I’ll remember this one for sure. This is really wonderful!! Thank you for sharing! Excellent – and as Spectrummy Mummy said, useful too. Thank you! My great grandfather died when I was six. I replayed memories of him over and over in my mind for a long time. And I had lots of questions about how and where he died. I wanted to know all the details. I asked my grandmother all these questions, not realizing that she might feel uncomfortable answering a bunch of questions about the death of her father. Years later I would think back on asking her all those questions and feel really bad about bringing it up so soon after he died. So that means I was still processing his death and the appropriateness of my response to it many years later. I think empathy and grief are like reflections of each other. Empathy is projected onto someone else as we relate to their feelings. But grief is our own personal feeling in response to loss. H felt empathy for the dog, but the grief was his own. Two distinct feelings. I bet a lot could be learned about autism and mind blindness by examining the ways people process grief and empathy. I barely touched on this in the post – but I do know that there was so much more going on with H when we thought there was nothing really happening. It was our lack of understanding for the different way of processing when he was much younger that had us assuming that he was basically unaffected. In retrospect – I believe we were very wrong! There are so many ways to process experiences and feelings and it is crushing to hear that you were treated so horribly when you did not respond the way others thought you should. It is my hope that when others read about experiences like my son’s or yours – they will learn to be more open to the reality that there are many different and diverse ways to process and feel. I appreciate that you shared your story here. I expect that when others read your comment – it will have them carefully considering our potentially narrow definition of “how we are supposed to respond” and look for ways to be more understanding. First, beautiful H! Love this kiddo! Love this post! Love your sensitivity towards him! Second, I wanted to share my story of associations. When I was in 6th grade, my best friend died. It was my first experience with grieving death. My classmates all signed a card, which had pictures of butterflies, and a little saying about how they dance in and out of our lives, much like your story about ladybugs. I created my own powerul association then, and ever since, when I am lucky enough to see a butterfly, I know I am being visited (even if only in memory) by someone dearly departed. It has brought me great comfort over the years. I wish you all well! Thank you for this… lovely, sensitive, and supportive comment. You inspire me daily with your wonderfulness! Wishing you and your boys well too! Thank you for this! If you are human, grief is real. And how we share our grief with others is as individual as we are. I have found that my knowledge of ASD supports coupled with bereavement counselors’ expertise are great partnerships to support the children and young adults we serve. I’m sharing this article because sadly, I still find too many people who believe that some cannot or do not grieve. Beautiful work Leah. Beautiful! Thank you! Yes!! Different – not less!! My father-in-law passed away nearly three years ago. 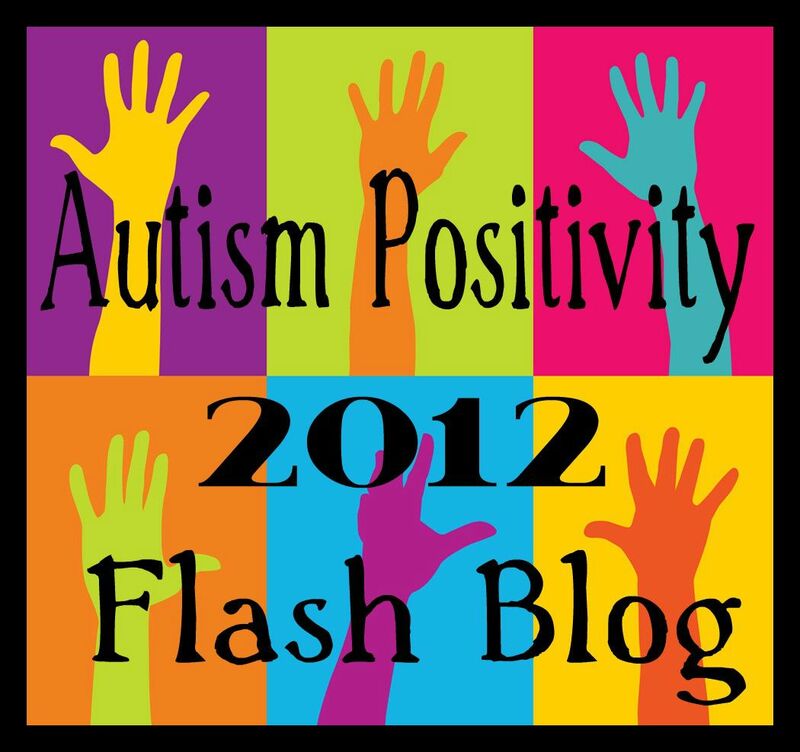 My daughter has ASD and I have AS. It’s interesting that you posted this today because she has recently begun to process the death of her grandfather, while I have not. My husband is in Afghanistan and it’s really hard to help her process her own emotions when I find my own so unpleasant that I prefer not to do the processing thing. I forget, I choose to forget because it’s easier. How do I help my daughter remember when I’m trying to forget? This is beautiful and moving! 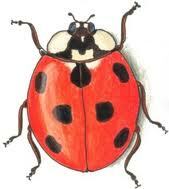 I love the analogy about the ladybug; I will have to tuck that away for the future, for my own son. It’s interesting to me to see how these kiddos on the spectrum process their emotions. I have found that my son is every bit as empathetic as my other children, but shows it differently. I recently posted about my son dealing with grief and tragedy as well. Thank you, Laura. I will be sure to pop over and read your post. Thank you so much for leaving the link. When I was a child and my cat died and I was so sad and crying, my mom just got mad and said that I wouldn’t cry like that if she died. No help or consoling at all. So I learned to hide any grief I had. Your son is very lucky to have such aware and nurturing parents. I am so sorry to hear that you did not get the support you deserved to help and console you when you were grieving the loss of your cat. I know that losing a pet can be as great a loss as any other. It can be a scary thing to let the grief come – even when you have those who understand. I hope you have – or will come to a place where you are safe and supported as well. Thank you for your kind words. I am certain there are things that we will look back upon as mistakes – or that H will share with us as being unhelpful. We are certainly not perfect – but we are trying to choose our steps carefully and mindfully. Comments like yours are very encouraging, Becca. Love this, Leah. Thank you for sharing it.